We help you to digitize your machinery with ease. Data is read securely from the PLC (read-only) and enhanced with intelligent analytics. Active alarms and anomaly detection provides a quick problem detection and allows you to minimize production downtimes. 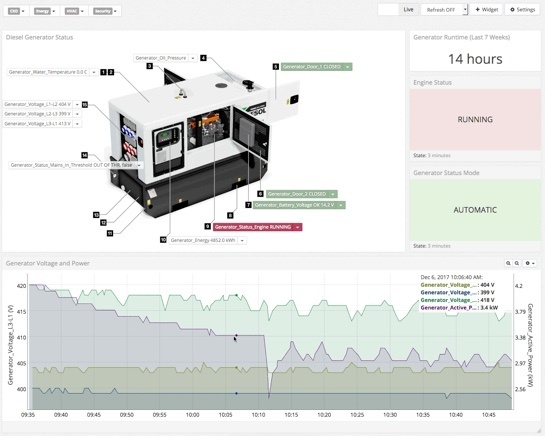 All your machinery key metrics, such as quality, performance and availability are visualized in flexible dashboards. These insights are the foundation to increase your machineries efficiency (OEE) and to identify bottle necks. Do you have further questions or do you require a quote? We will gladly call you back without obligation.